With five courses of varying difficulties (think ski trails; yellow, green, blue, and black), you are challenged to cross suspended bridges and cable walk ways, climb on nets and ladders, swing on trapezes and tube traverses, and negotiate other fun elements like zip lines, barrels and more. Check SkiWhitefish.com for current rates. The Aerial Adventure Park is open for summer only. 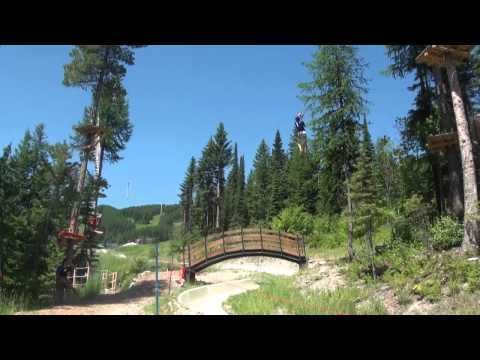 The Aerial Adventure Park starts at the Base Lodge at Whitefish Mountain Resort.